The Chinese government’s further tightening of internet controls and mandating real name registration threaten security and privacy of internet users. On December 28, 2012, the Standing Committee of the National People’s Congress, China’s legislative body, passed the “Decision to Strengthen the Protection of Online Information.” TheDecision contains troubling provisions that require internet access and telecommunications providers to collect personal information about users when they sign up for internet access, landline, or mobile phone service. Paragraph 6 of the Decision also applies to service providers that allow users to publish online, who must be able to connect pseudonyms to real identities when citizens post information. In the days following the decision, several well-known online activists found that theirweibo micro-blogging accounts had been shut down. “Real name registration” requirements allow authorities to more easily identify online commentators or tie mobile use to specific individuals, limiting anonymous expression, “whistleblowers” who spotlight official corruption, and the right to privacy. Even without energetic enforcement, the law will suppress critical speech as users may fear that anything they post critical of the government could lead to reprisals. 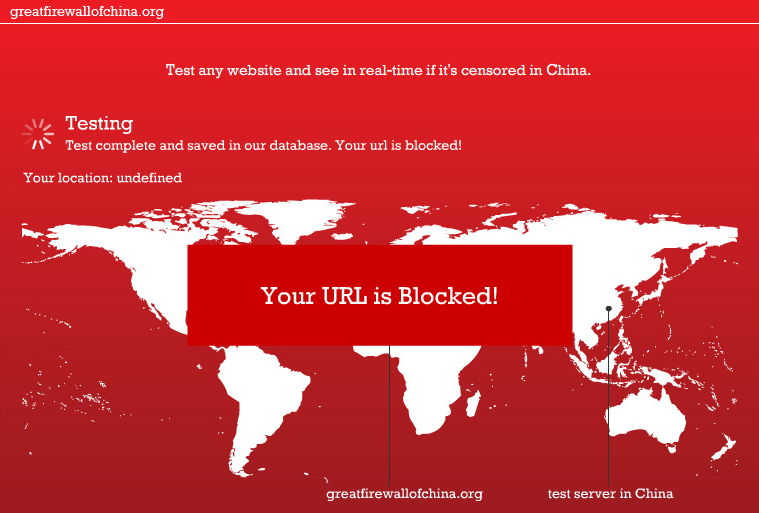 Although the right to freedom of expression is guaranteed in article 35 of the Constitution of the People’s Republic of China, the Chinese government continues to regularly impose sharp curbs, including through broad internet censorship, surveillance practices, and prosecution of citizens and journalists for their online activity. For example, in February 2012, writer Zhu Yufu was sentenced to seven years in prison for “inciting subversion of state power” because he posted a poem online calling for political reform in the wake of the Arab Spring. This is not the government’s first attempt to impose real name registration. In 2011, the government promulgated registration requirements for weibo, a Twitter-like service, and previously tried to impose similar rules for blogging services in 2007. In 2010, two US companies stopped registering internet domain names in China because of expanded registration rules that the companies deemed too intrusive of their customers’ privacy. To date, the Chinese government has not consistently implemented or enforced these directives, though real name registration was a key part of the internet strategy released in 2010. However, the new action by the Standing Committee may signal renewed commitment to the real name approach and increased enforcement of existing controls. This decision follows a series of high-profilecorruption exposés that were widely discussed online, despite government efforts to control media coverage, as well as increased use of social media to mobilize citizen action. For example, weibo users and bloggers became important watchdogs in revealing corruption and governmental cover-up attempts in the wake of the July 2011 Wenzhou high-speed train crash. Public outcry forced officials to respond: railway workers unearthed the first train car for analysis after initially burying it, and local officials rescinded an order they had given to lawyers to refuse cases from the families of crash victims. Similarly, Shaanxi safety official Yang Dacai was removed from office after a photo of him smiling at the site of a deadly bus crash and wearing a luxury watch went viral online in August 2012. Outraged netizens quickly posted photos of Yang wearing other expensive watches and discovered that Yang owned property worth millions of dollars, at odds with his public servant salary. Given the otherwise tightly controlled media in China, the internet remains one of the few sources for independent information and an increasingly powerful tool for citizens to call for government accountability. The Decision also follows a series of commentaries published by state-run news outlets in December 2012 describing the internet as a haven for bullies, rumor-mongers, and cyber criminals. The Standing Committee cited the need to safeguard privacy and information security as justification for the Decision. However, the real name requirement may exacerbate security and privacy risks instead. For example, South Korea, in response to concern about online bullying, passed a law in 2007 requiring all websites to collect identity information of users who wished to post content on social media services. The government was forced to abandon the law after hackers breached databases used to comply with the real name system, compromising the privacy of about 35 million social media users. The South Korean Supreme Court eventually ruled the law an unconstitutional restraint on expression, finding itineffective at addressing online bullying. In China’s case, the Standing Committee has not offered a persuasive case that there are sufficiently serious threats that justify such draconian restrictions on privacy and expression online, especially restrictions that could also harm users’ security. Both the right to privacy and the right to free expression entail a corollary right to communicate anonymously. While this right is not absolute, the importance of allowing individuals to speak anonymously has been recognized as worthy of protection to encourage speech that might invite reprisals. In his 2011 report to the Human Rights Council, the special rapporteur on the promotion and protection of the right to freedom of opinion and expression explicitly called upon states to “ensure that individuals can express themselves anonymously online and to refrain from adopting real-name registration systems.” Human Rights Watch believes that users should have the ability to comment anonymously online, particularly in countries such as China where the government persecutes critics. The Standing Committee’s decision also directs network service providers to “strengthen management of information” published by users, a phrase used to signify privatized censorship by internet and telecommunications companies. All service providers in China are already responsible for restricting access to a wide range of “illegal content,” defined broadly and implemented in a way to prohibit speech that reflects a line different from the official government position, or contains information that the government deems too politically sensitive. A directive to strengthen such efforts may indicate increased pressure on private companies to further limit use of social media, search engines, and other key online tools. In addition, companies that provide virtual private networks (VPNs) that circumvent China’s “Great Firewall” have also reported expanded interference with the use of their services. VPNs can allow users to secure their communications over an internet connection. Businesses, journalists, and ordinary users rely on VPNs to encrypt internet traffic and evade China’s filtering system. “Social media has become an incredible tool for public accountability in China, but these new controls certainly undermine that potential,” Wong said.